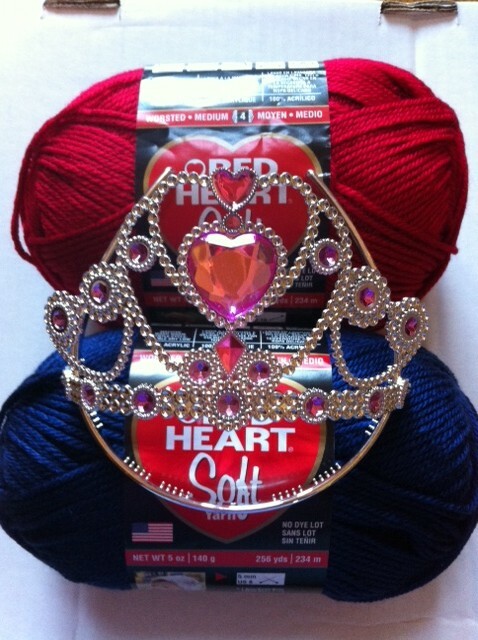 Red Heart yarn for Special Olympics Scarves 2012 project. Great project that I have done with my daughter the past two years…can’t wait to start this year in blue & red! 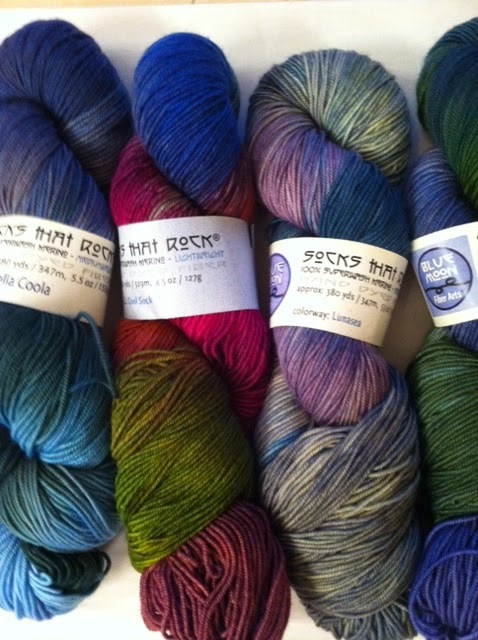 Pretty Lorna’s Laces yarn….perfect for socks and shawls. Blue Moon Fiber Arts Socks That Rock….great colorways for awesome socks! 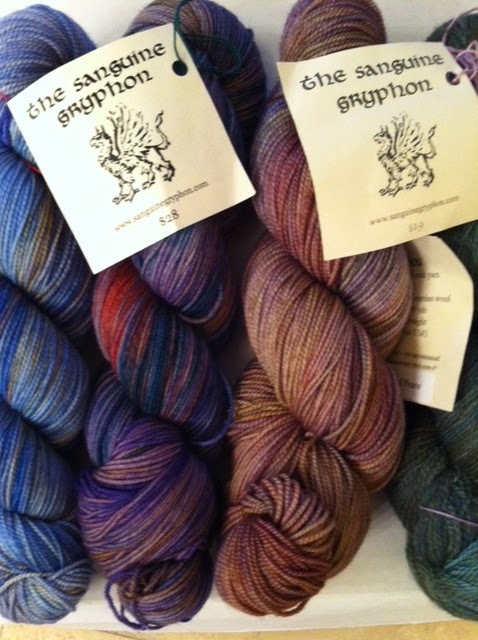 Sanguine Gryphon…more great colorways for socks and shawls. And the reason for the missing tiara in the last two pictures?? I’m wearing it, of course! 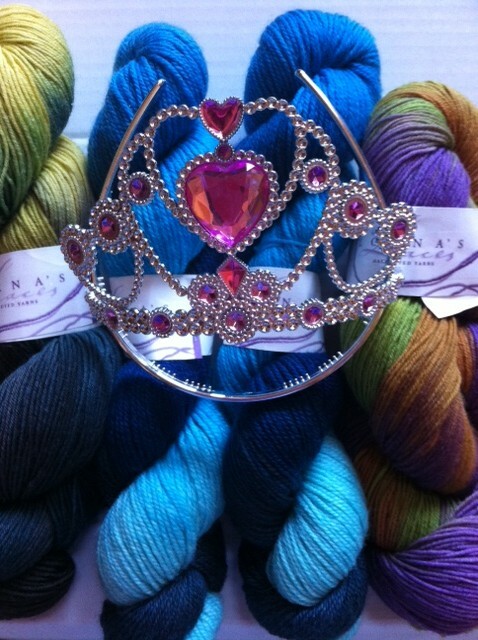 Princess Yarnia is off to fill the trick or treaters’ bags full of candy!